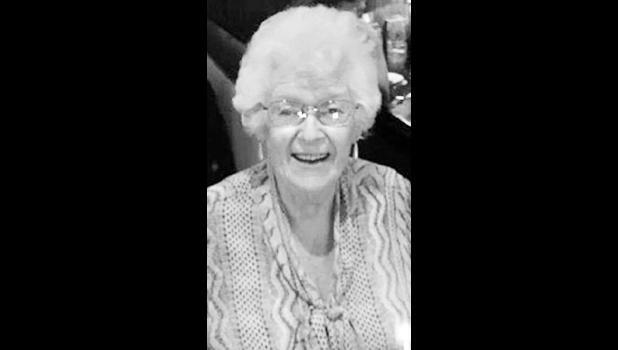 Betty L. Flynn, 88, of Holton, passed away Saturday, Aug. 11, 2018, at Holton Community Hospital with family by her side. She was born Nov. 19, 1929, in Holton, the daughter of Leonard G. and Elsie M. (Moore) Askren. Betty graduated from Holton High School in 1947. She worked for the Jackson County Extension Office, six years for the State Highway Department in Topeka and 32 years for the City of Holton as the Utility Clerk. Betty also worked for 20 years for Lee’s Flowers and the past 10 years at Mercer Funeral Home. She was a member of First Christian Church in Holton and had been attending Larkinburg Christian Church. Betty was also a member of Moose Auxiliary in Topeka and had been on various bowling leagues for 40 years. Betty’s love was her family, and she was very involved in all of their lives. She enjoyed quilting and made numerous quilts for her children and grandchildren. She married Wade Miller on Feb. 22, 1948, in Holton. They later divorced. She married Harold Flynn on Aug. 18, 1972, in Holton. He preceded her in death on July 24, 1974. She was also preceded in death by a daughter-in-law, Nelda K. Miller, on April 20, 2003; a sister, Virginia Bowser; and a brother, Bob Askren. Survivors include two daughters, Connie S. Nordstrom (Jim) of Topeka and Barbara Collins (Roger) of Holton; a son, Warren D. Miller (Heather) of Holdrege, Neb. ; seven grandchildren; 16 great-grandchildren; and four great-great-grandchildren. Funeral services will be held at 10:30 a.m. Wednesday, Aug. 15 at Mercer Funeral Home in Holton. Burial will follow in Holton Cemetery. Family will greet friends from 5 p.m. to 7 p.m. Tuesday at the funeral home.